Deguisa offers a range of high performance anti-moisture materials that avoid the reactions that cause the formation of corundum. In addition, Deguisa designs and manufactures precasted laddlels that allow the customer greater availability of the laddlels thanks to its quick installations and improves safety and drastically reduces the drying time since the piece is delivered pre-dried. 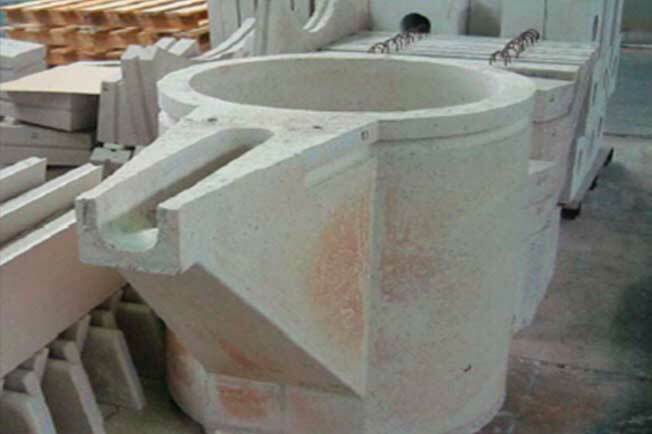 Optimization of maintenance and repair practices that improve the life of the laddles and save a large consumption of refractory materials. Conformed spoons that allow greater availability and shorter start-up times. Preshaped laddles that allow greater laddle availability. Pre-dried laddles with faster drying time and lower risk at customer´s house.